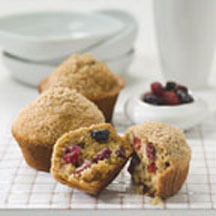 CooksRecipes has quality, kitchen-tested recipes for muffins made with berries, such as boysenberries, raspberries and strawberries, that you can count on for successful deliciousness. Recipe courtesy of the Wheat Foods Council and Chef Gale Gand. 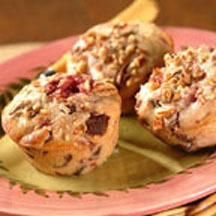 These muffins are accented with nutmeg and make a delightful treat to wake up to in the morning! Chocolate and raspberry make a great taste combination. 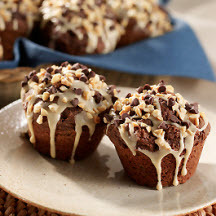 These muffins will be a big hit at your next brunch or family gathering.